Butser Rubber will take your idea from design to production. This includes design and manufacture for your injection and compression rubber mould tools. 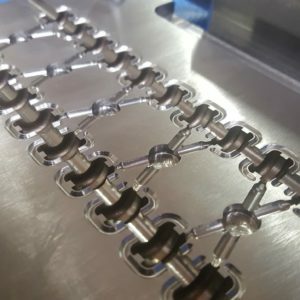 We use a wide selection of tool making skills including: Turning, Milling, Sparking wire-eroding, laser engraving and Polishing. Different processes will allow for different surface finishes on your rubber mouldings from ‘Gloss, Glass Blasted, Matt’. 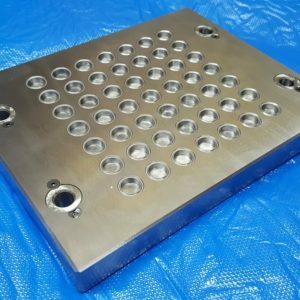 Using our extensive experience in rubber mould tool manufacturing we offer tooling in a range of finishes and materials. Please get in contact with our team for more information. 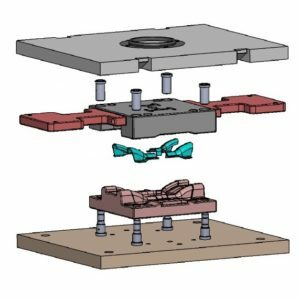 We have the capability to manufacture tooling from 2D drawings and sketches as well as 3D CAD models using a range of programs including Catia V5 and SolidWorks. We can use 2D drawings to manufacture knife cutting tools for gaskets and seals. Please contact our team if you would like more information on file formats. Butser Rubber have a great deal of experience in cost-effective rubber mould tool manufacturing. We can offer our customers advice regarding tool sizing. We can also offer a range of different cavity tooling to suit your project budget (for example 4, 8, 16 cavity rubber mould tools). As a custom rubber moulder we do everything in our power ensure pricing is as low as possible. We keep tool costs at a minimum for our customers to comply with cost down programs etc. We offer competitive lead times on all size projects, but it should be mentioned that lead time often increases with tool size.